I feel like a broken record writing about these guys week after week, but they just won't go away. 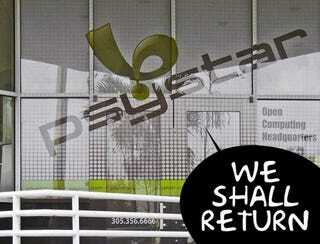 Even after this week's ruling that Psystar must cease operations, their attorney is saying the company will be back. Last week one of Psystar's lawyers said that the company is shutting down for good, but now another lawyer is refuting that claim by saying "Psystar does not intend to shut down permanently."